As you’ve located this website, you’re likely interested in buying a property on the waterfront of Lake Wylie – but you still may be seeking more information about Lake Wylie communities. Luckily, with over 30 years of experience, the realtors at Lake Wylie Realty have the information you’re looking for! We’re the oldest and most experienced name in Lake Wylie Real Estate – and we’re confident that we can help you find the perfect home. From Interstates I-77, I-85 and Highway 49, Lake Wylie is easily accessible and can be located in three counties: York (SC), Gaston (NC), and Mecklenburg (NC). The diversity of these three counties provides residents with different education and employment opportunities, as well as a variety of recreation, shopping and amenities. Close to the lake, there is a wide range of housing, including waterfront homes, secluded neighborhoods and modern condominiums. Within the three counties mentioned above also lie several communities, such as: Allison Creek, Hansmill, The Landing, Misty Waters, River Hills, RiverPointe, Tega Cay, Windswept Cove, and Woodland Bay. Lake Wylie Realty has information on all of these Lake Wylie communities to help you narrow down your search for the perfect home! 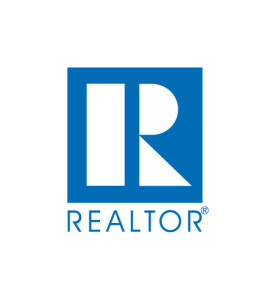 Whether you’re looking for a rural lifestyle, a busy neighborhood with countless amenities, or somewhere that lies in-between, our realtors are determined to help you find a match. Along all 325 miles of beautiful shore line, Lake Wylie communities are unique and unforgettable; although most lakes within driving distance of large cities become crowded, our communities remain tranquil and clean. But with sporting and cultural events still abound, you can be sure that in Lake Wylie, you will be both relaxed and entertained. The lake also offers boating, fishing, golfing, skiing, parks and restaurants. With all these amenities available among Lake Wylie communities, how can you choose which is best for you? As mentioned above, LKWRealty.com has information on each subdivision of Lake Wylie; this includes photos as well as a listing of all the current homes on the market in that neighborhood. Browse each article to learn what each community has to offer and to start your search for the perfect home in Lake Wylie!